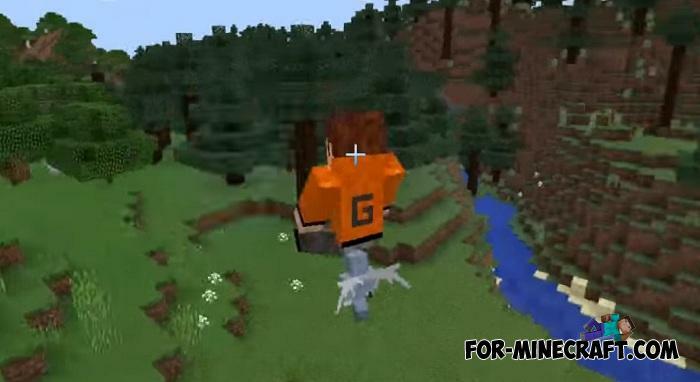 Experience the ability to ride on any entity in Minecraft PE thanks to this wonderful addon. 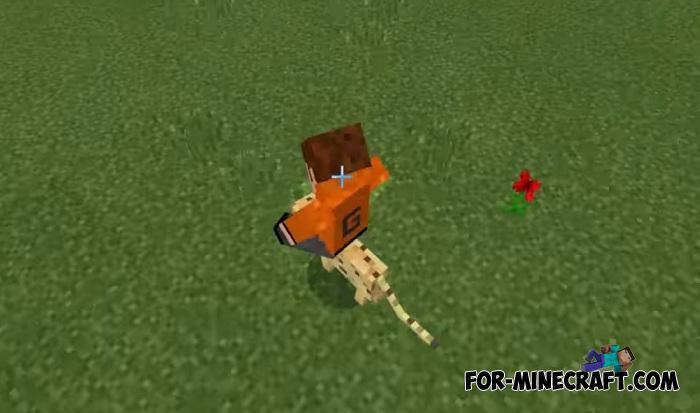 Its purpose is to add one small feature allowing players to sit on the backs of any creatures. 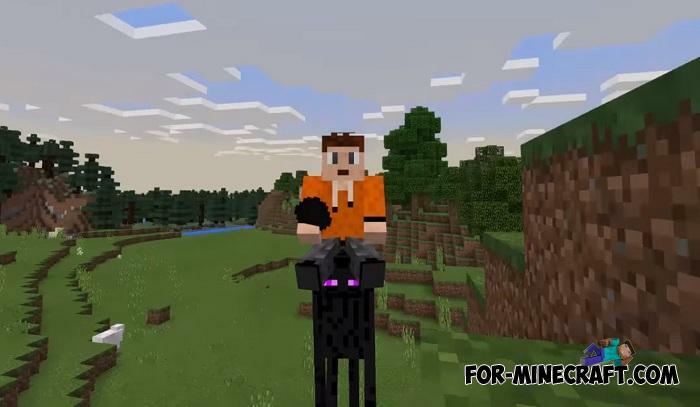 If you have always dreamed of flying bats or riding a polar bear, the Rideable Entities Addon will help you in making your dreams come true. 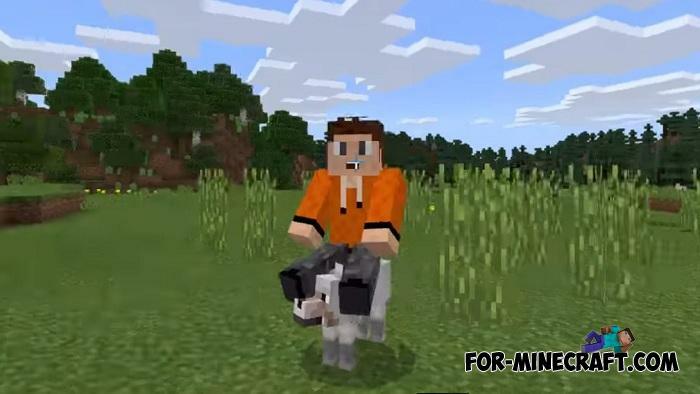 The riding process in Rideable Entities is similar to how you ride pigs with saddles. The only difference is that you don't need the saddle itself, you just find a creature, come as close to it as possible and start driving. 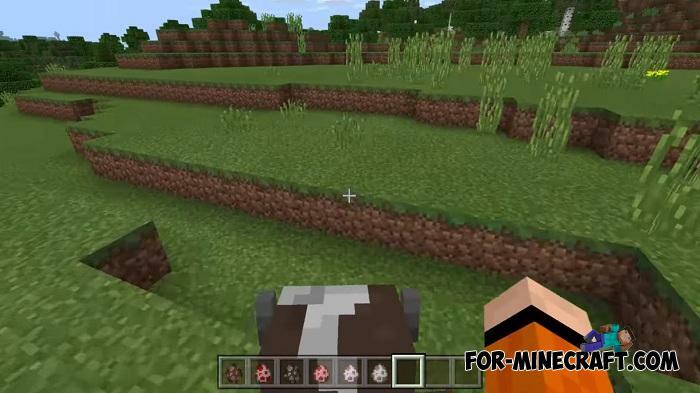 Almost all mobs are available in the release version of Minecraft Bedrock Edition 1.8. 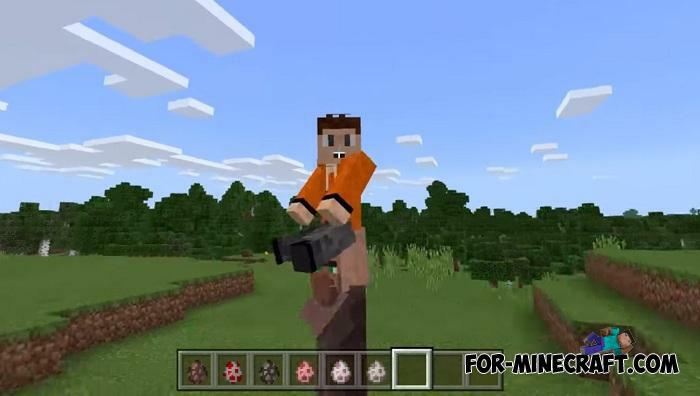 MCPE 1.9.0.3 Beta does not support riding illagers. But if you play multiplayer on your server, then other players and you yourself can ride on the backs of each other but not control the movements. How to install the Rideable Entities Addon? 1. Open the file (.mcpack) using MCPE. 2. Activate the addon (game settings). 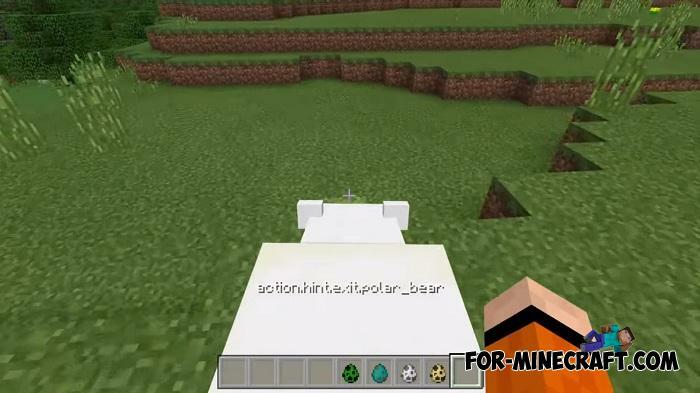 Rideable Polar Bear mod for Minecraft PE 0.16./0.16.1Another quite useful mod for Minecraft PE 0.16./0.16.1..